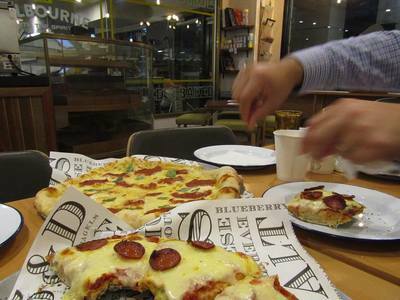 Giant Pizza Bagels and New York Jersey Pizza & Slice Bar. Melbourne kid-friendly eats in the CBD? 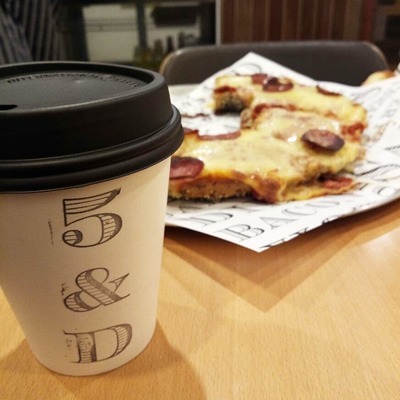 Head to 5 & Dime Pizza, just off Flinders Lane in Katherine Place. 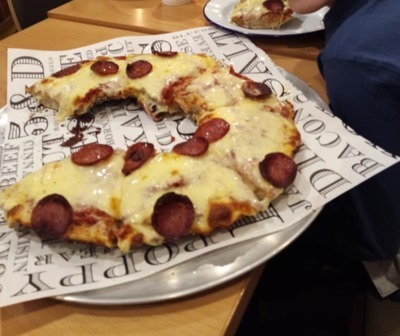 Offering a casual setting for city diners, 5 & Dime Pizza is a relaxed "Pizza & Slice Bar" with a little difference... Pizza Bagels! 5 & Dime branched out into evening dining in June 2018. Being a bagel cafe by day, it seemed only fitting that 5 & D would combine pizzas with bagels. It is highly unlikely you'll find anything quite like these giant circular breads anywhere else in Melbourne. Choose garlic, napoli, jalapeño or pepperoni toppings for your cheesy bagel pizzas, in either regular or giant size. Pizza bagels are surprisingly filling. Depending on your appetite, one giant bagel could be enough to feed a family of four. Huge bagel pizzas aside, this quaint little laneway eatery also serves stone baked New Jersey pizzas in 15" or by the slice. Pizza toppings include maple bacon, buffalo mozzarella, onion jam, pork & fennel sausage, baby broccoli and aged Parmesan. All pizzas available in vegan variant. Otherwise a hot bowl of soup, pizza pocket, bread sticks or bagel pudding. Don't leave without trying one of Alex's cookie dough lattes especially in winter - great for kids! As mentioned previously, 5 & Dime is a cafe by day, Pizza & Slice Bar by night. 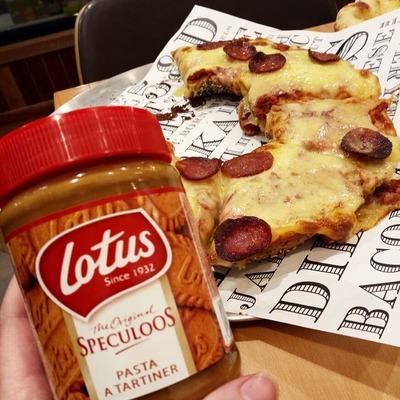 Pizzas and pizza bagels are available from 4pm onward. Do stop by if you're after a quick and filling feed before heading out to show, or home if you're at the end of a long day out with your family in Melbourne.